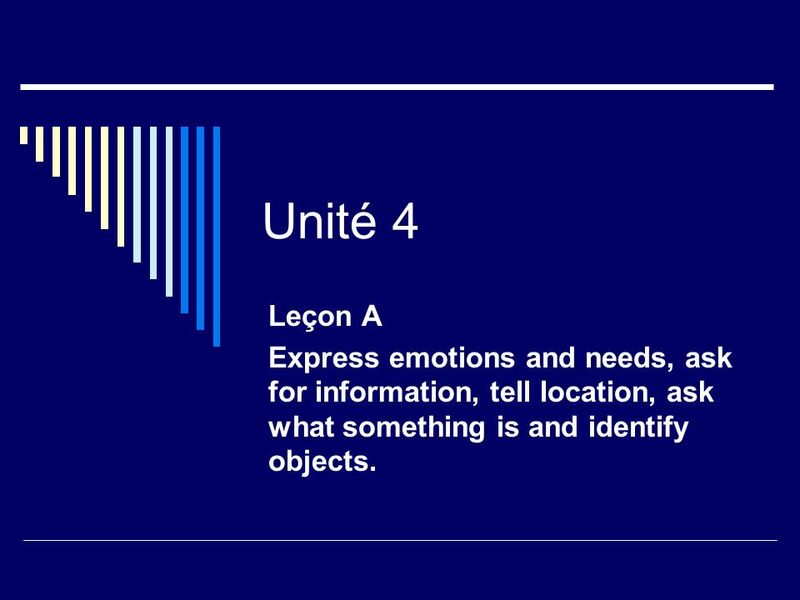 Unité 4 Leçon A Express emotions and needs, ask for information, tell location, ask what something is and identify objects. 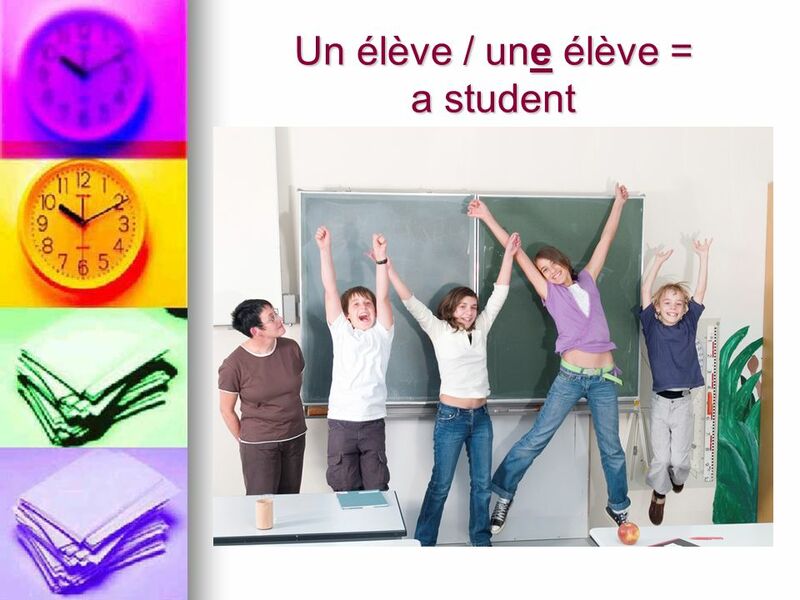 1 Unité 4 Leçon A Express emotions and needs, ask for information, tell location, ask what something is and identify objects. 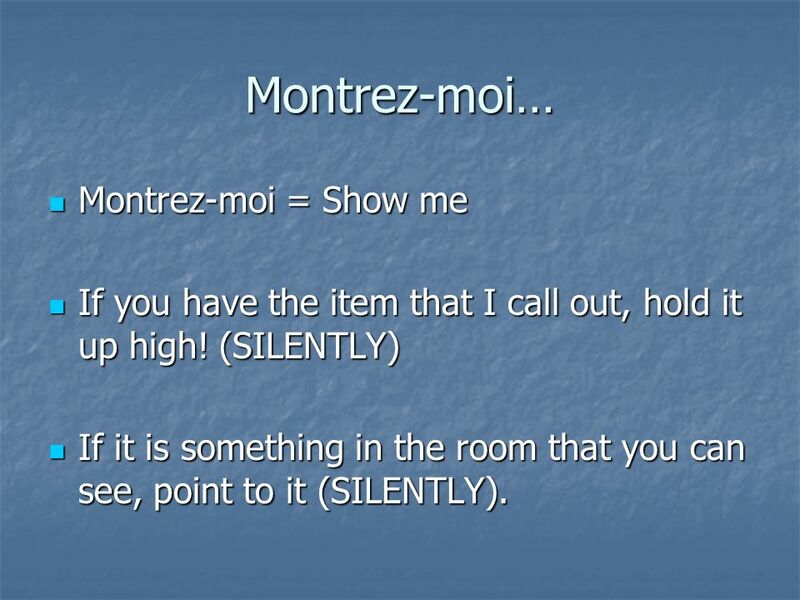 11 Montrez-moi… Montrez-moi = Show me Montrez-moi = Show me If you have the item that I call out, hold it up high! (SILENTLY) If you have the item that I call out, hold it up high! (SILENTLY) If it is something in the room that you can see, point to it (SILENTLY). If it is something in the room that you can see, point to it (SILENTLY). 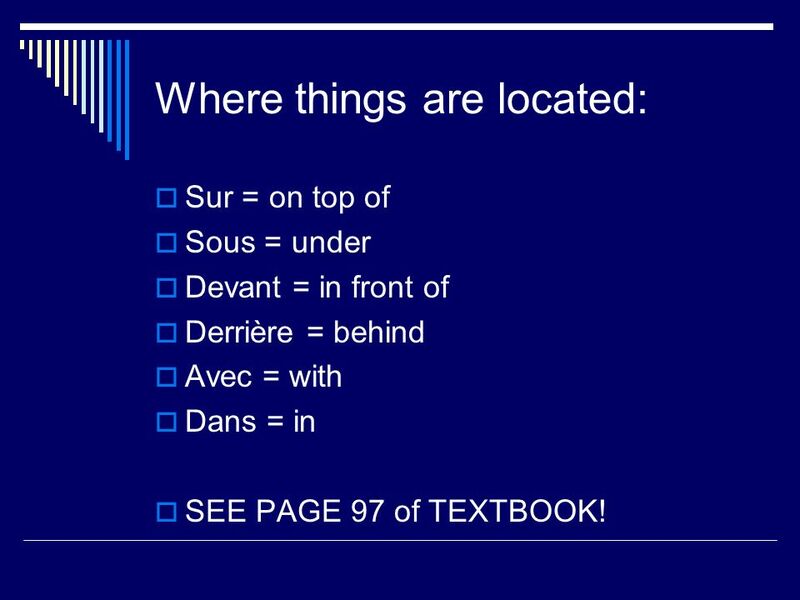 12 Where things are located: Sur = on top of Sous = under Devant = in front of Derrière = behind Avec = with Dans = in SEE PAGE 97 of TEXTBOOK! 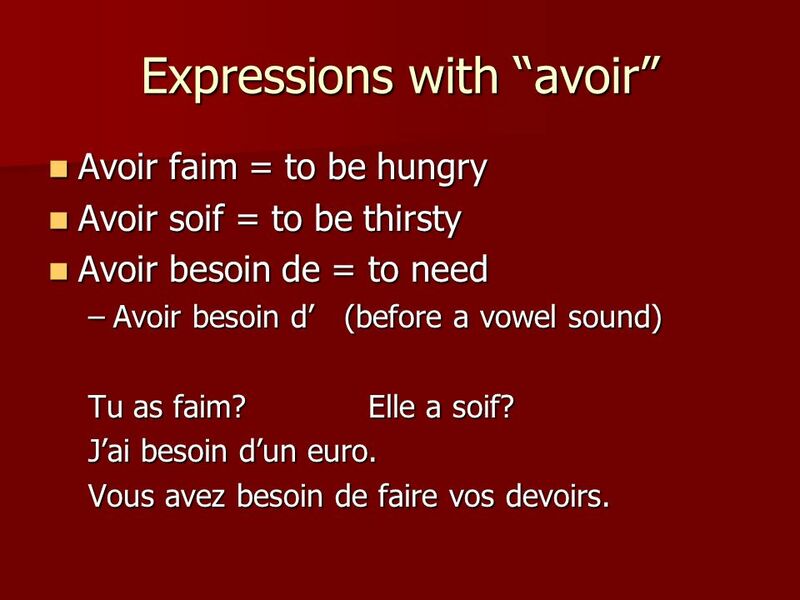 14 Expressions with avoir Avoir faim = to be hungry Avoir faim = to be hungry Avoir soif = to be thirsty Avoir soif = to be thirsty Avoir besoin de = to need Avoir besoin de = to need –Avoir besoin d (before a vowel sound) Tu as faim?Elle a soif? Jai besoin dun euro. 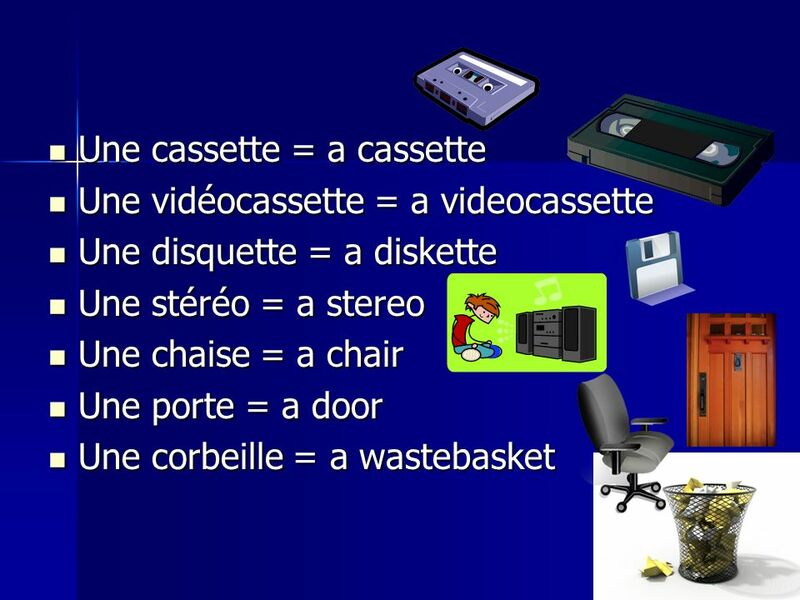 Vous avez besoin de faire vos devoirs. 15 In the time that remains: Begin working on Workbook pages 51-54. 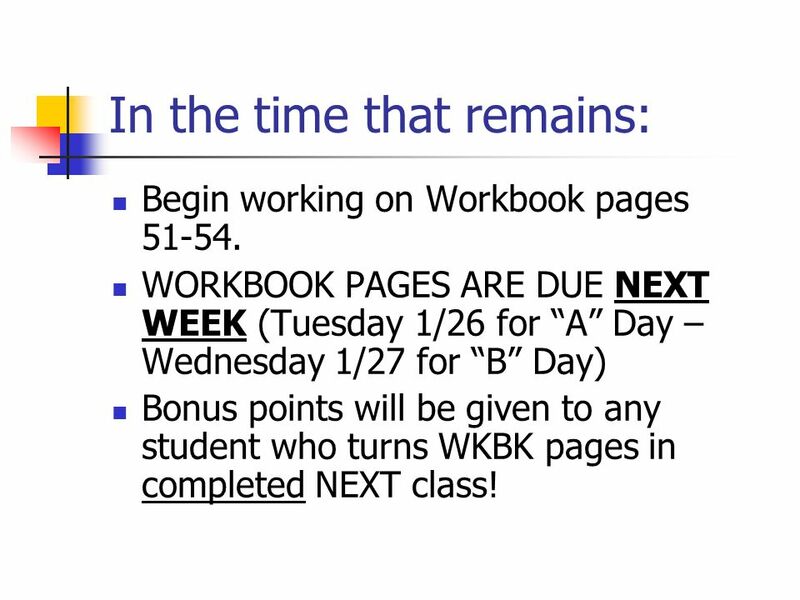 WORKBOOK PAGES ARE DUE NEXT WEEK (Tuesday 1/26 for A Day – Wednesday 1/27 for B Day) Bonus points will be given to any student who turns WKBK pages in completed NEXT class! 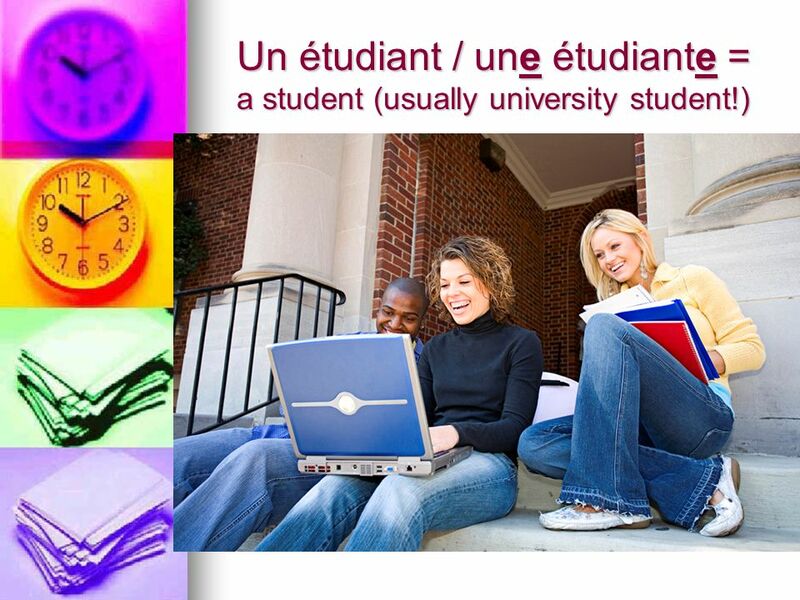 Télécharger ppt "Unité 4 Leçon A Express emotions and needs, ask for information, tell location, ask what something is and identify objects." 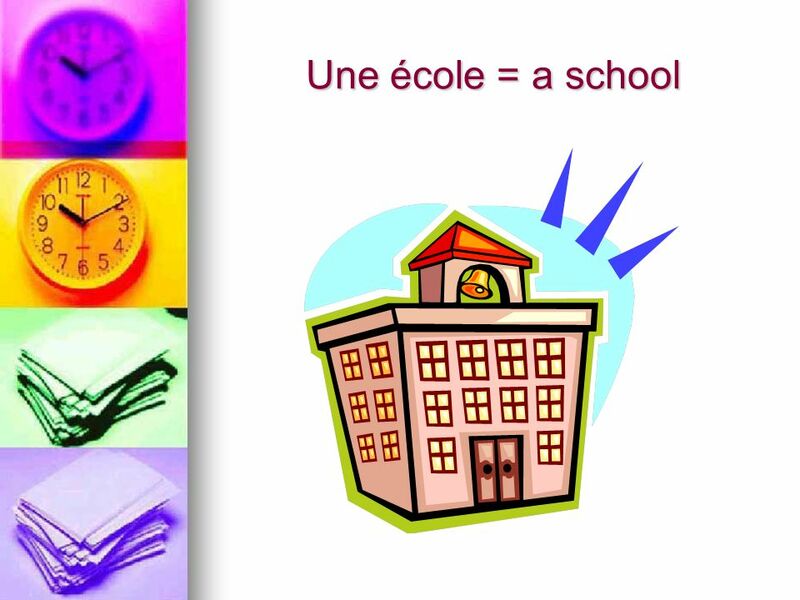 Notes for the teacher: This PowerPoint is designed to accompany the sound file Touchez un crayon which has instructions to either touch or show 8 classroom. 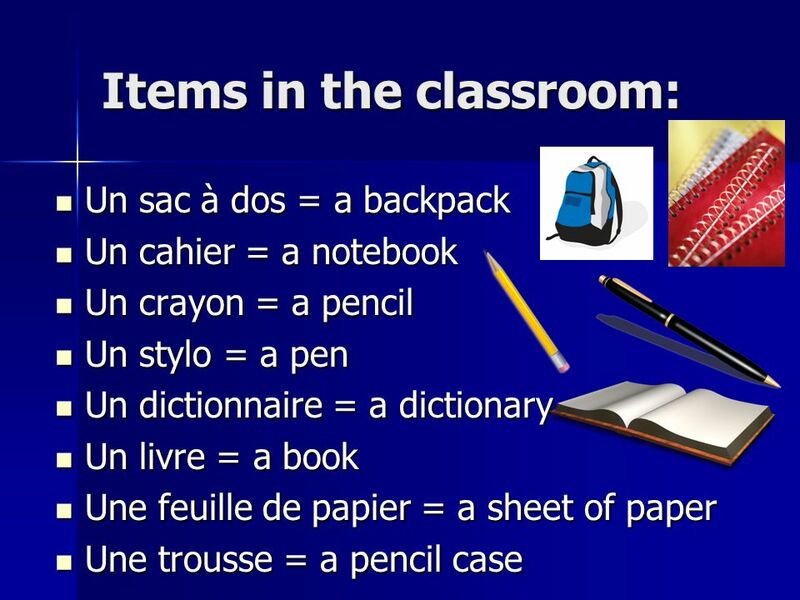 Notes for the teacher: This PowerPoint is designed to accompany the sound file Dans la salle de classe il y a… which has a list of the 12 classroom objects. 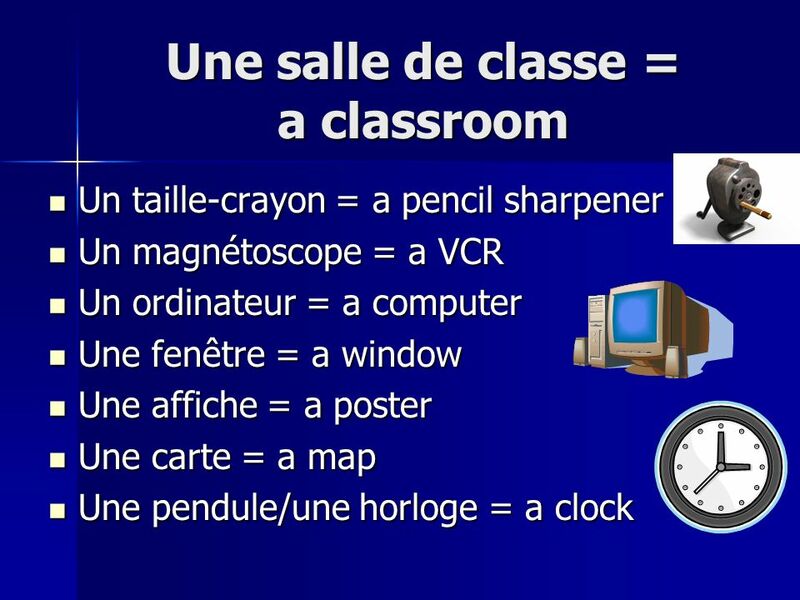 Les Objets dans La Salle de Classe. As-tu…….? DID YOU KNOW?! Donna Griffiths from the UK, sneezed for 978 days in a row!She stopped on 16 September 1983. Unité 3 Au café. 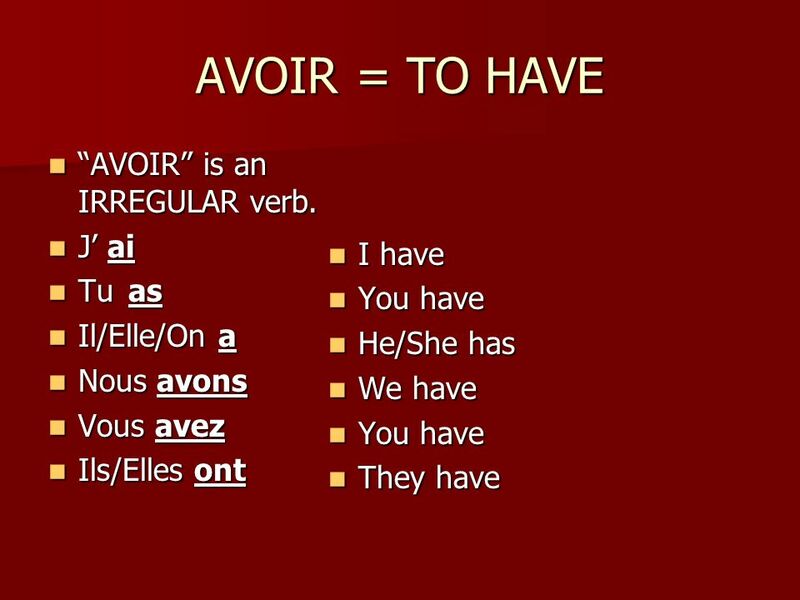 What can you say instead ofÇa va? Comment vas-tu? Comment vas-tu? This is INFORMAL. This is INFORMAL. Use Comment allez-vous? if you. Exercice #20 1. Quelle est la date aujourd’hui? 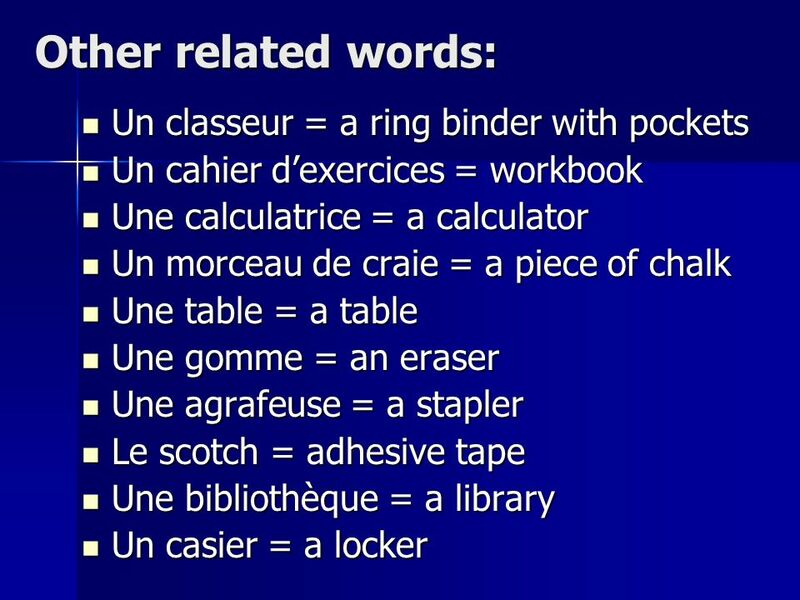 Les objets de la classe. Un review Jai le crayon. Vous avez le stylo. Elles ont les calculatrices. Nous avons la carte de France. Chapter 3 Review Madeleine Liversidge Per 6. 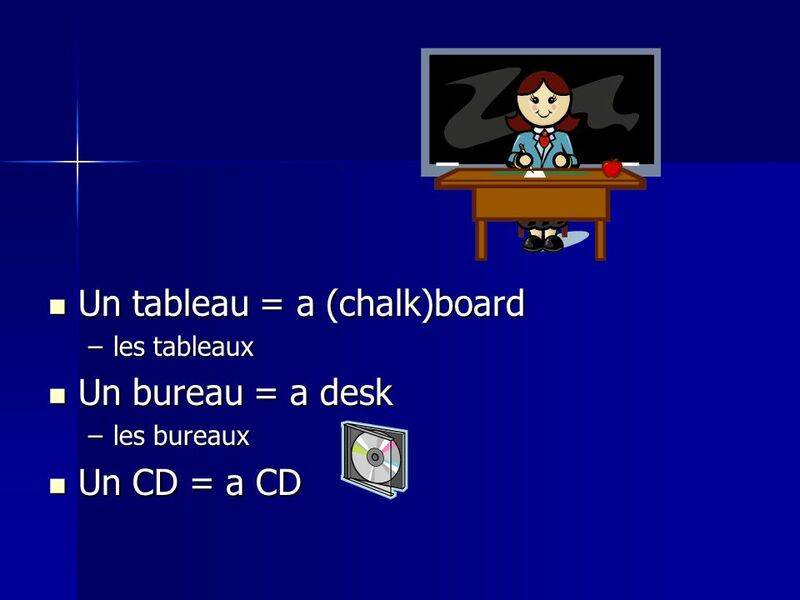 NOTES: Un /une (f.) = a/an De after ne…pas Des = plural Ex) Jai un crayon. Jai une calculatrice. Ex) Nous. un crayon un ordinateur un stylo un taille-crayon. 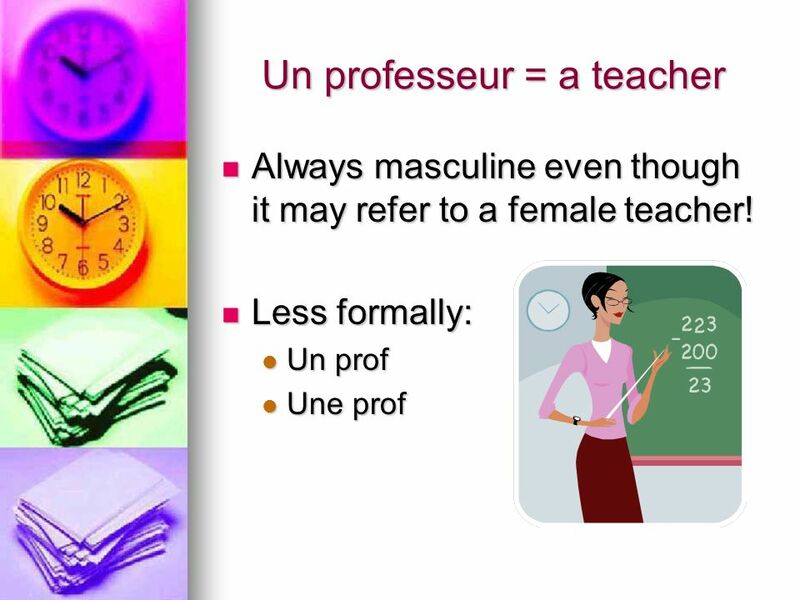 Dans la Salle de Classe.